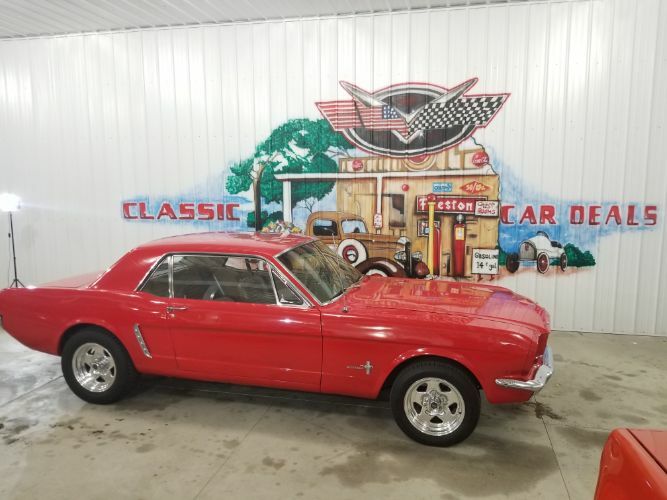 1965 Ford Mustang which is Very nice driving car has 289 smooth sounding and running engine. Back up by automatic transmission. Car has new trunk floor, front end was completely rebuilt every thing was replaced also has been upgraded with wilwood disc brakes. Also new radiator,rims and tires. This car will eventually need a paint job, but it is a daily driver as it is. You can enjoy this car now and take to shows. Manual Steering.